For those of you who’ve been waiting for that ultimate onstage pairing of Rob Halford with Five Finger Death Punch on ‘Lift Me Up,’ you’re now one step closer as Five Finger Death Punch have signed on to be Judas Priest‘s special guests on the European leg of the ‘Redeemer of Souls’ 2015 Tour. The eight-show run begins June 4 in Helsinki, Finland and hits Germany, Luxembourg, France and the Czech Republic before a June 27 finale in Lodz, Poland. Tickets go on sale tomorrow (Nov. 7) at Five Finger Death Punch’s website. Dates can be seen below. 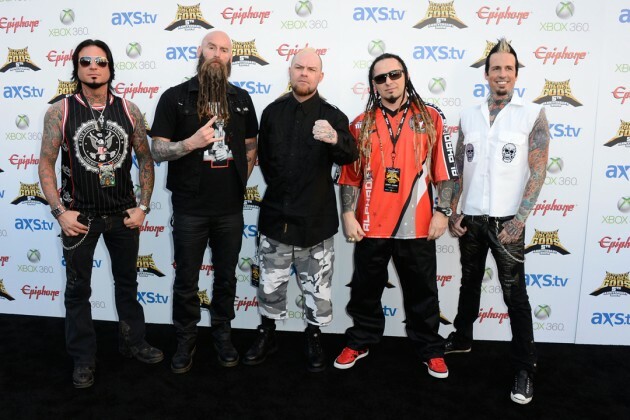 FFDP just finished a major North American tour with Volbeat while promotion for their ‘Wrong Side of Heaven’ reached a fevered pitch. The band used the clip to shine a light on military vets suffering from PTSD and they’ve also launched a site where fans can contribute or learn more about various organizations that aid military vets. Check it out at www.5fdp4Vets.com.